Help came to Himanshu and his mother from a group of pilgrims from Kerala who volunteered to sponsor the expense for his education after hearing his story. 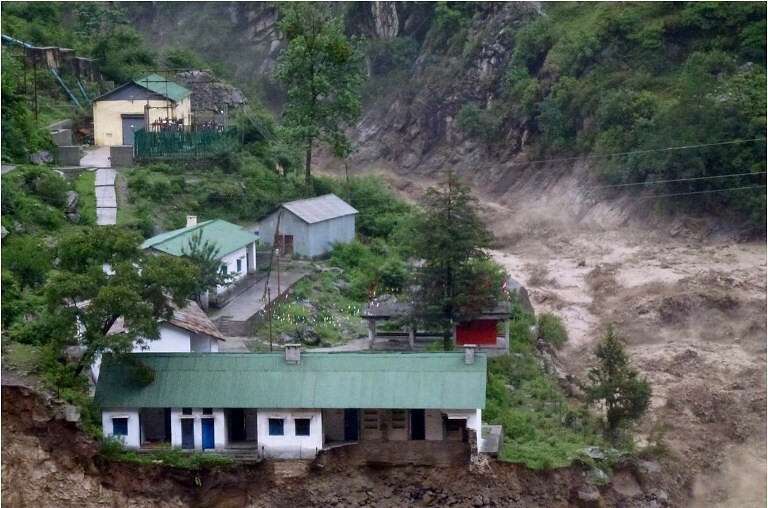 From hindered mobility to extensive damage to livelihood, life came to a standstill in Uttarakhand when a devastating bout of floods rampaged the state. Himanshu had been one amidst the thousands who had lost everything to the floods and had been living in the local government primary school with his mother Rakshmi, for they had nowhere else to go. Himanshu’s family lived in Triyuginarayan village where his father used to work in a teashop. Lending a helping hand, the little boy would collect firewood from the forest and earned ₹10 for a bundle. The day the flood struck, he had been in the forest running the same errand, which ended up saving his life! Following three days of struggle and starvation, Himanshu finally managed to reach back home only to find his father missing and the teashop washed away. The devastating floods. Source: Flickr. Help came to the little boy and his mother from a group of pilgrims from Kerala who volunteered to sponsor the expense for his education after hearing his story. It was upon the insistence of former Educational Deputy Director Chithran Namboodirippad that the group happened to visit the school in Triyuginarayan that was en route their destination Kedarnath. While most people make promises and forget about it as soon as they leave, Chithran Namboodirippad made it a point to write to the then defence minister A. K. Antony for some kind of monetary intervention, once he got back home in Thrissur. Soon, Himanshu and his mother received financial support of ₹6 lakhs from the government, with which they could build a house. Alongside, another person from the group regularly sends an amount of money to the family, because of which Himanshu can study at Navodaya Vidyalaya, reports Mathrubhumi, a local daily. Since then, the group has been making a yearly visit to Triyuginarayan to meet the mother-son duo and inform them of their arrival through letters. Currently, in class 6, Himanshu and his mother regard the traveller’s group with utmost reverence and look forward to their visit, who quite literally helped them build a life once again.